Classic Cake has rescheduled its annual community party to Friday, Oct. 16 from 3 to 6 p.m. at Classic Cake in Cherry Hill. The event was moved from Friday, Oct. 2, due to rain. The event will be free and open to the public. The event will include an open buffet of sweet treats, face painting, a moon bounce and more. Former Congressman and NFL Lineman Jon Runyan will be there for a meet-and-greet along with local dignitaries. A portion of the proceeds will be donated to the Alzheimer’s Association. 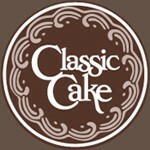 For more information, call (856) 751–5448 or visit www.classiccake.com.